Video streaming and sharing is one of the most popular activities of internet users today. With the advent of smartphones, the ability to quickly share videos while on the go has become a norm. However, there aren’t many powerful apps that help you accomplish this task easily. Dailymotion has been a hit among iPad and iPhone users, and now its entry into the Android market is sure to please Android users. This article is a review on Dailymotion and how you can stream and share videos from your Android device. 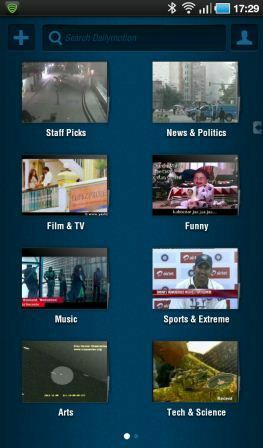 The Dailymotion home page or dashboard displays various categories of interest such as News, Film, Sports, Music and Tech & Science. Tapping a category displays videos from each category. You can also tap the ( + ) sign on the home page to add more categories to the Home page and long press an empty part of the screen and tap the (X ) button to remove a category. The Search bar on the Home page helps you find your favorite videos. Tapping a video automatically streams it and you can use the left and right scroll bars to navigate to another video in the playlist. If you’ve really enjoyed the video, you can share it and add it to your favorites list. You have options to customize the country settings and filter videos based on featured categories, HD content, Creative and Official content among others. The quality and streaming of videos is pretty good too. The drawback with the app is that there aren’t a wider variety of videos and if you’re expecting to find popular YouTube uploads, you may be disappointed. I was looking for information on Michel Buble’s Christmas album and couldn’t find it after trying many different keywords. 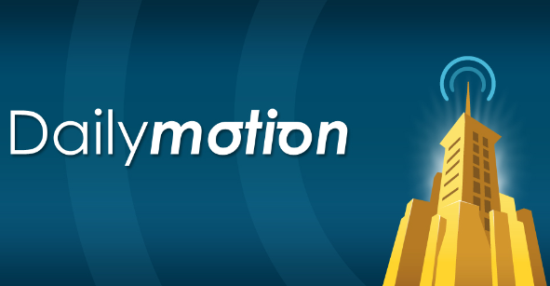 Dailymotion is available for free in the Android market. Use the download link below or get direct access with the QR code.